Yesterday, Moxie Pictures a production company out of New York filmed Mr. Bob’s Under the Bridge for Aurora Health Care. Aurora Health Care is calling it “Invisible Bonds”. The commercial will be about people helping people in Milwaukee as I understand. Although feeling very blessed for the opportunity it brought me challenges, are we exposing our friends to something for only our gain, how will our friends react to such a large production (at least 25-35 people plus tons of equipment from Moxie), and lastly will this help the homeless community as a whole. My heart was racing as I showed up at the park around 6:30 to start spreading the word to our friends as to what was happening. I nearly pulled the plug on the entire operation when I saw all that was involved. I looked up and asked, am I doing the right thing for all involved ? Then I was reminded that I’m only able to do God’s will as he appoints me. I felt relieved after that moment passed. I talked with the entire production crew and expressed all of my concerns and challenges that all of us would be faced with this morning. After a 10 minute talked and we parted I had many of them come up to me and tell me not to worry that they will respect and be as invisible as possible. I had to snicker a bit thinking how in hell are they going to hide ? The outcome was outstanding everyone on the crew was more than compassionate with our friends. No moves or direct contact were made without checking with me first. You all know how much love and respect I have for our friends that I didn’t want to see any of them hurt. I’m kinda like a mother goose watching over the flock. It turned out to be exactly as they stated with a few glitches which were mostly on my part being overprotecting. By the way they did change my wardrobe to this silly looking Elmer Thud cap (sorry Ben). As well all of our park volunteers spent the morning as if it was a normal Saturday in the park. Thanks John, Cathy, Mary Beth, Sara, and our outreach churches Faith Harvest Outreach and New Creation church for adapting to the day. Thank you Moxie and crew for calming me to the point that even our friends were telling me “just let it be Mr Bob we’re fine”. I’m so blown away by your ability to adapt to our situation with the main concern being our friends well being. I look forward to seeing the final product. I’m sure you portrayed us just like every other Saturday. With great appreciation we would also like to thank you for the generous donation. Reality set back in (after a camera followed me around most of the day, close up shots, group shots, blah blah blah) our friend who I’ll call Jonathon asked to talk with me privately. Johnathon had been in housing for quite some time but was released for some unknown reason. He was crying and talking about how he didn’t want to start over on the streets again. He explained that the streets become nearly impossible to live on after a period of time. The addiction the survival the begging etc scares him to death. As I listened I became somewhat emotional and shared my prayer that I say everyday with him. The tears rolled down both of our faces as we finished. I felt so helpless at that point as to what can I do to help outside the normal resources that are available. I’ve challenged our board this year to address these issues. We will figure out how to help. Our board loves input so if you have any or want to get involved let us know. Johnathon is becoming the familiar story I hear more and more. I choose to make a difference in Johnathon’s life and others and will not stop until we as a society treat everyone as children of God. 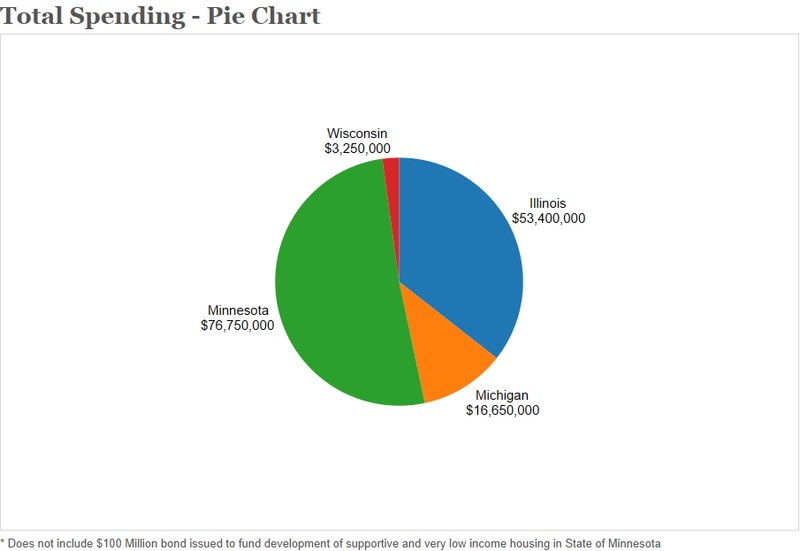 Here’s where Wisconsin is ranked among our surrounding states when it comes to providing for the homeless. Spring may have arrived, but it is still cold. The temperature this morning hovered around 40o. As we pulled into the park, both John and I were struck by the sight of a lovely young woman. She was standing in the park, wearing shorts, a t-shirt, and sandals without socks. Her arms were wrapped around her body while she shivered uncontrollably. Within minutes of our arrival and the arrival of our partners at New Creation Church, she was enjoying a hot cup of coffee while eating hard boiled eggs, doughnuts, fruit, and a hotdog. I said a silent prayer that we would have the other items she needed. The day continued at the park as it normally does. Hygiene items were handed out from the back of the truck. Bedding was handed out near the side door of the trailer. Coffee, hot cocoa, and food items were distributed at the tables, and we volunteers were all running around, doing the jobs that we know by heart. Before we knew it, the time had come for us to leave. While John and I were getting back into the truck, we looked to the left. There stood that same young woman that was shivering when we first arrived. Now she was wearing a pair of jeans, a sweater, coat, socks, and shoes. She had a hat in herpocket. She was smiling while she was talking to our friends who regularly come to the park. One would not have known that it was the same woman. I said a silent prayer of thanksgiving that we were able to help her. I don’t know her story. I may never see her again. But I am grateful that we left her better than we found her. Shortly after my father-in-law “Mr. Bob” started serving the homeless in downtown Milwaukee, the entire family realized that his passion for finding and connecting with those who were seemingly forgotten would only continue to grow. And indeed, it has. 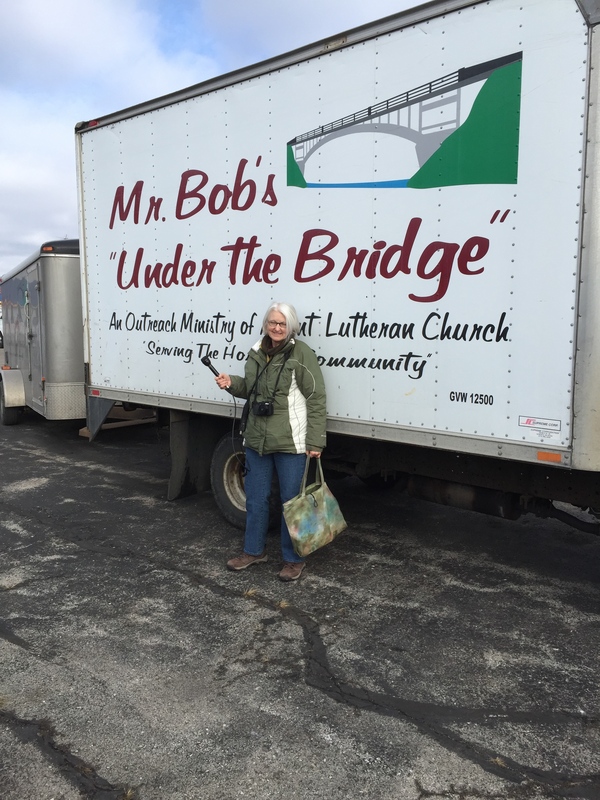 Nine years ago Mr. Bob’s Under the Bridge didn’t have a name and was only Bob and my mother-in-law, Sue, putting together hygiene kits and backpacks full of supplies in their basement. Now, more than 60 volunteers, including 11 directors on the board, are providing clothing, hygiene packs, coffee, and food to a majority of the approximately 1,000 homeless people living on the streets and under bridges in our city. 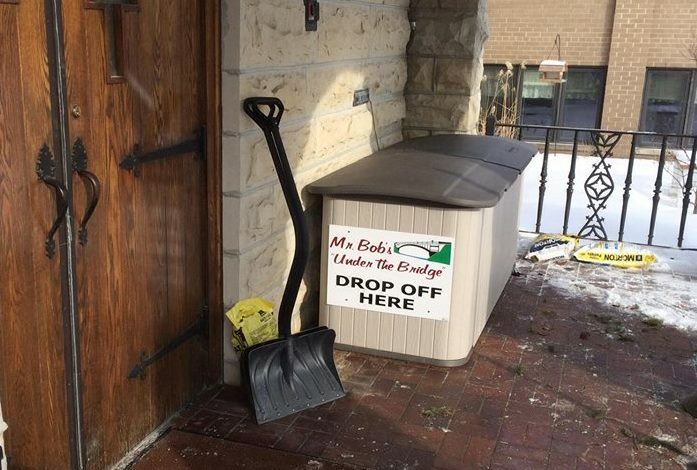 The seed for Mr. Bob’s Under the Bridge was Bob’s love and his drive to help those less fortunate. But, the expansion of his ministry and the enormous impact it has on the homeless community in Milwaukee is a result of other selfless individuals volunteering their time to show compassion to fellow human beings. Many of Mr. Bob’s volunteers learned about the organization by simply stopping by the park when they saw the truck and crew in action on a Saturday morning. They asked the question, “How can I help?” More than 60 people have asked that question. And, through Mr. Bob’s, God has answered. Mr. Bob’s volunteers at an appreciation dinner at the Schlitz Audubon Nature Center on April 15, 2015. This is in addition to the immeasurable acts of caring and concern these volunteers show to the homeless community on a daily basis; especially on Saturday mornings, which is an important time of fellowship. It’s my pleasure during National Volunteer Week to say “thank you” and recognize the people who are the heart and soul of Mr. Bob’s Under the Bridge, because without your time, talent, and love the organization couldn’t be what it is today. And, I also extend that “thank you” to the many, many others who donate clothing, food, hygiene items, money, and the like in order to provide our homeless friends with a fraction of the necessities they deserve. Interested in getting involved? Contact us for more information about volunteering or donating. As the secretary at Advent Lutheran Church I have come to see many happy and sad moments in people’s lives. A couple of those happy moments happened within the last couple of weeks. I had a member stop in the office carrying 5 heavy plastic grocery sacks full of items. While dropping of items at church is a pretty common occurrence, the story behind these bags isn’t. She went on to tell me that her son turned 8 recently and instead of receiving presents at his birthday party, he wanted his friends to donate to Mr. Bob’s Under the Bridge. The bags were full of shampoo, toothpaste, tooth brushes, wash clothes, etc…. I thanked her many times and told her what a nice thing this was for her son to do. Pastor told this story at church on Sunday and then on Monday, the mom stopped by again and brought the rest of the hygiene items from the party, another 2 full bags. Along with the items, she gave me $6, this was from her other son who is 5, he wanted to do “something nice too”. Wow, 2 very nice young boys are well on their way to becoming wonderful young men! Have a blessed Easter and may all of us find the spirit of these 2 young boys throughout the year. Even though it was only 36 degrees outside on Saturday morning, it felt like a heatwave compared to the last few weeks. The warmer temperatures brought several of our friends, whom we had not seen for months, out to the park. One man that I will call Larry is an older gentleman who is quick with a joke and always wears a smile on his face. We were discussing some of the empty buildings that are located downtown and how nice it would be if Mr. Bob’s would be able to use one of them as a home base for our work. “The best thing about you guys is that you don’t ask any questions. You don’t care who we are or where we come from. You don’t care if we are black, white, or any other color. You don’t try to force us to do things that we don’t want to do just to get a pair of socks. You don’t care if we believe in God or not. You just help all of us, no strings attached.” He paused for a moment and continued, “And we love you for it. ”We continued talking for another few minutes until Larry had to walk to the bus stop. He promised that he would be coming back to visit us again soon. As he left I remember feeling elated by his kind words. After we finished at the park, Bob and I drove to our usual haunts. We were stopped near one of the bridges when a man riding a bicycle came up to the truck and asked about our ministry. He seemed impressed and wore an ear to ear smile as Bob explained what we do. He then asked if we “witness” to the people we serve. Bob replied that we are not that kind of ministry, and the man’s entire face seemed to fall with disappointment. He then quickly said he had to leave and took off on his bicycle. I kept playing these scenarios in my head all week. One man is happy and thankful that we help everyone and another man is disappointed that we do it without giving witness. I would bet money that by not “witnessing” we are actually doing more to spread the word of God than if we did. Be kind to everyone. May God’s blessings be with you. 3. Donate. Clothing is a big one here — as are shoes and food. Non-perishable items are always in short supply at food pantries and homeless shelters. Other items that might be needed include blankets, coats, books and small kitchen items such as cups and utensils. If you are donating to a homeless shelter or another organization that helps the homeless, consider donating office supplies, electronics, appliances, phone cards or other items that might help those who help the homeless. 7. Seek out job opportunities. Encourage your church or community center to hire a homeless person to paint, clean, type, answer phones, or any other work that might fit. 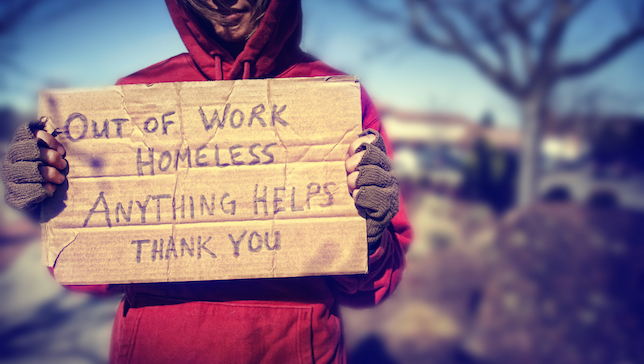 Many homeless people want to work but can’t find regular employment. 8. Get techy. Use your smartphone or other gadget to help the homeless. In San Francisco, download the app HandUp to read the stories of homeless people in your area and donate directly to those in need. In New York, the Help the Homeless app can help you learn how to get involved. And in Atlanta, every post you upload on the Luv4wrd app equals a coat, blanket or pair of gloves to someone living on the streets. Live somewhere else? Use a Google search to find a homeless app to help the people in your community. 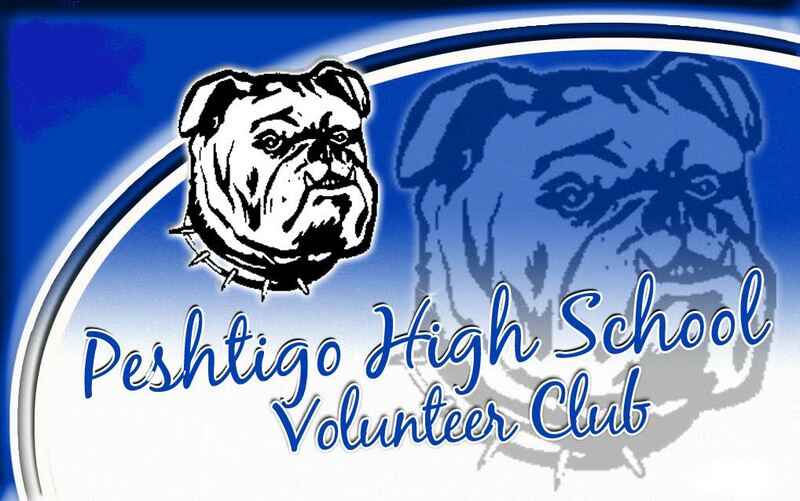 Forty-four students from the Peshtigo High School Volunteer Club joined us on our journey yesterday. They came on a day that got them up at 5 AM to meet the bus to travel to Milwaukee. They came on a day that brought cold damp weather to stand outside and serve our friends in the city. They came on a day to experience compassion and caring. They came on a day to open their hearts with gifts of gloves, hats, hand warmers, bags, and homemade lunches. Students were broken into teams of 5 and managed their station for the gift giving. Dan Vanidestine the force behind this incredible group instructed them months ago that each team would be responsible to obtain the items that were handed out. Dan should be nominated for teacher of the year. I’ve known Dan for quite some time and he always had a heart for the homeless population. Dan road with us many years ago when we were first starting out. He’s been such a blessing to Mr Bob’s. I’m lucky to have him as a partner with the same passion I have for our friends. God’s Blessings to each and every one of you. People often ask me if I have “favorites” among our friends in Milwaukee. I usually say no, but there are some people who I tend to worry about more than others. One of them is a gentle soul named“Alfred”. He is so meek and mild that he gives lambs a bad name. I have known Alfred for five years now, and I can’t help but worry about him. There are times in which some of the people become“grabby” with items and try to take as much as they can. I have seen people take items right out of Alfred’s hands, claiming that they need it more or saw it first. Alfred never resists; he just passively lets go and continues looking for things that he can use. He never takes more than he needs. Sometimes he comes down to the park just to say hi and grab a cup of coffee. He always tells me that he is “blessed,”no matter how cold the temperature or how disheveled his clothing is. He also makes sure to say thank you before leaving the park. I can’t help but think that one has to be tough to survive on the streets, but somehow Alfred does. He has been the target of bullies and thieves, and last week some young (teens or early twenties) people were making faces at him and saying derogatory remarks to him and the other people we were servicing. A couple of our other park friends wanted to respond with some pretty harsh words, but Alfred simply shook his head and said, “They just don’t know.” Maybe it is this kindness and avoidance of confrontation that have made it possible for Alfred to survive on the streets for so long. Whatever the reason, I am blessed to call him my friend. May you and yours always be blessed. Annette always touches my heart. She is an amazing lady that opens her heart and reaches out not only to our friends but everyone she comes in contact with. I always leave with something to think about when we talk. I couldn’t get that note out of my mind, thinking how judgmental I can be. I need to remember that when serving our friends it doesn’t matter how they became homeless, what addictions they have, or how much they take of the goods we share. My job is to show compassion and care for the few short hours I’m lucky enough to be with them. Thank you Annette for bringing me back to what our core mission is. We had several special guests that joined us yesterday. Cheri Hesse who is our board president along with Alex Heyn a long time friend of Mr Bob’s manning the truck handing out hygiene, socks, underwear etc.etc. It was great to see the joy in their faces as they worked together making sure all our friend’s needs were met. Our third guest was Nancy Camden who is a free-lance journalist for Wisconsin public radio. Nancy contacted us and is doing a story that will air sometime in February. I’ll post it as soon as it’s available. This week “The Point in Time Count” will be done. Teams will visit with our friends all over Milwaukee County to get an accurate count on our homeless population. The data will be gathered and sent to HUD who then in turn will support the various agencies to end homelessness. I will be volunteering my time at the Dry Hootch warming room on Brady St from 7PM-11PM Wednesday and then will ride along with the Milwaukee Police Dept HOT team from 1AM-3AM Thursday morning. I’m excited to be part of this project, I’ve met so many people who share the same love as I have for our friends. We worry when the weather gets too cold and we don’t see our friends on Saturday morning. The first thing we do is ask around to see if anybody knows where the missing people are. Are they safe? Are they inside? If we are unable to learn anything, we drive around the city, looking under bridges, in doorways, in alleys, and behind abandoned buildings. We check with the police and scan the newspapers for news of anybody who may have succumbed to the cold. Thinking about this sends shivers down my spine. Even though we go downtown every Saturday to assist our friends, I am still amazed by the ability of people who can survive in weather like this. How do they do it? How can anybody do it? When you go to your warm home in your safe neighborhood, do you think about those who are not as fortunate? I know that until I began to work with our friends, I used to pray for them. Now I know that my prayers were not enough. I needed to do something more than pray, so I got involved. It is easy to become involved. All it takes is a little action. It doesn’t have to be a large gesture. Simple acts like donating used clothing and blankets or purchasing new hygiene products are always greatly appreciated. The thanks we receive from our friends at the park, under the bridges, and at Salvation Army are genuine. We are also grateful to have them in our lives. That was the unexpected bonus of getting involved. Never did I imagine that I would be so grateful as to be able to work with the poor and homeless in Milwaukee. I am grateful for their kindness, friendship, helpfulness, grace, and their uncanny ability to make me laugh. I think about them often, as I sit in my warm house, stocked with plenty of food and warm clothes.